A huge well done to all of our amazing children that completed the summer reading challenge with St Helens libraries. 32 children from our school completed the task in total. Out of all of our children that completed the challenge, Joe was the lucky winner of the book token. 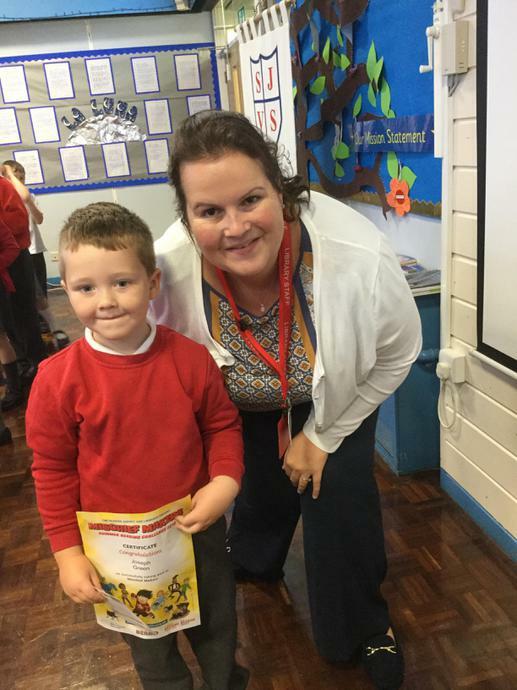 He was presented with his prize by Kate Jones from Thatto Heath library.